including manufacturing, retail, automotive, and service segments. He is a Harlan, Kentucky native and University of Kentucky Gatton School of Business graduate, He relocated to the east Tennessee area in 1993 after several years of store development for a McDonald's franchisee and for Ryan's Family Steakhouses, Inc.
David previously served as Director of IT for England, Inc., a La-Z-Boy company for over 20 years, and has embarked upon several entrepreneurial ventures, including an online tactical supplies store. He is currently working on a second MBA and enjoys spending time with his two German Shepherd Dogs, Jax and Kyra. He has been a private pilot since 2002. 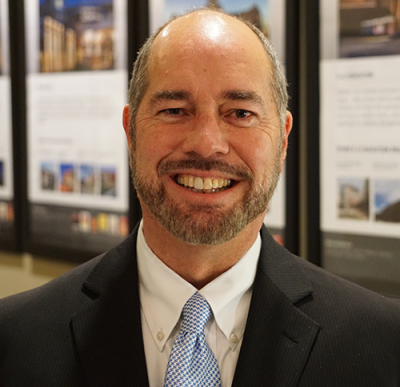 Since joining Gallaher, he has been diligently focused on transformational projects that are aligned with the company mission and strategic objectives, that ultimately will contribute to delivery of excellent project and service satisfaction for our clients.